While we recovered from the Mobile Social Worldwide and rode in the Seattle rain, Chris Mahan guest blogged for us at the Singlespeed Cyclocross World Championships in Portland. He rode a Specialized Tricross Singlecross. the Specialized cross tires hooked up in the mud and the bike felt balanced and quick, but seemed designed more for the road than raceday. 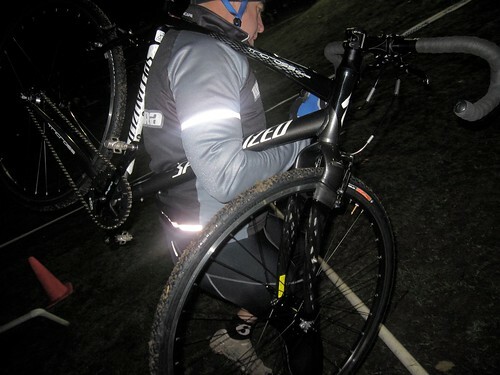 It’s too heavy for the barriers and the v-brakes just don’t have enough mud clearance. A parts upgrade – wheels, cranks — would resolve that quickly. Please tell us that Master Blaster was in the Thunderdome! 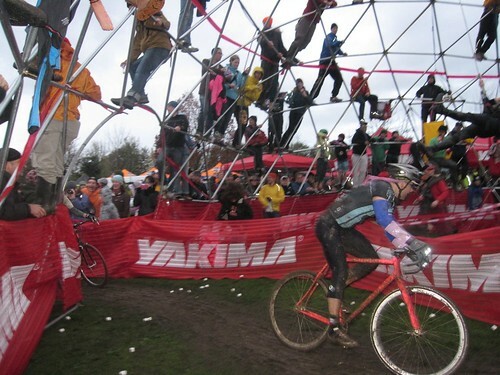 Also see photos from PDX Cross. Chris designs for Novara.